Thinking of moving soon? Well, you could try to move all your furniture and belongings with your friend’s pickup truck, but a few hour job could quickly turn into a weekend-long project. You could also rent a moving truck or van, but then you’re responsible for driving the thing around town (and for any damages you cause when you run into that fire hydrant you didn’t see while you were backing up). Why not skip all the drama? When you choose UNITS for portable storage in Moraga, we’ll making moving easy for you. We deliver a UNIT (or more) to your specified location, let you load and lock it up at your own place, then we deliver the UNITs to your new address for you. Done and done. Just need a place to store your stuff while you relocate? We can do that, too. Check out our list of offered services. We know that not everyone has the same storage requirements, so we offer our UNITS in two different sizes. Every UNIT comes with a transparent roof that allows natural light inside, making loading and unloading that much easier. Worried about the weather during your move? Worry no more. Our containers are mold, moisture, and UV resistant so your belongings will stay safe even under long-term rough weather conditions. Chances are that if you’re moving, you’re going to need some packing supplies. Even if you’re loading everything into a UNIT, you’ll still want to make sure your items are organized for easy loading and unloading – and to ensure safe transport and less shifting around. Make us your one-stop moving supplies shop! We offer portable storage solutions not just for Moraga, but for the majority of the East Bay Area. Don’t see your location on the list? Don’t worry – we can probably help. 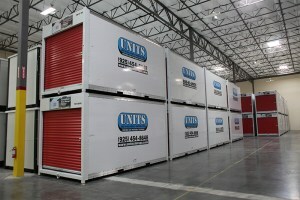 Call us today to find out more about UNITS portable storage in Moraga and beyond.